You must have seen rituals such as walking on fire on TV or in real life, but have you ever wondered, why people walking on embers don’t get burned or anything. So what scientific principles help them do that ? In fact, on hot summer days, when the outdoor temperature exceeds 40 degrees Celsius, the surface of the asphalt can reach over 60 degrees C., But even the temperature below 60 degrees C is enough to make your feet blistering is very dangerous. Barefoot walking on surfaces with a temperature of approximately 45 degrees Celsius for at least one minute or more may cause you to have a second-degree burn. That’s dangerous, but why do we still see so many people walking on embers without getting burned on their feet? The answer is not a magic or a charm, but a physical and biological knowledge. Sometimes the ritual goes on hot ash or embers. 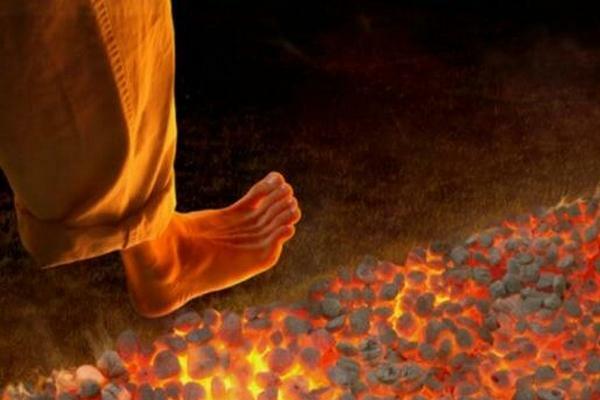 According to Science, going on fire or rituals going on hot ash, embers (Firewalking) are meant to go barefoot on the floor full of embers or charcoal, covered with hot ash. Although the ritual on the embers appeared in many cultures around the world early on, the closest date we know about this ritual falls around 1200 BC. This ritual often carries a spiritual or religious element. It is used to test the power of an individual or their devotion and religious beliefs. Even many people believe that this ritual can help purify the body and provide a source of spiritual strength for those who dare to step on embers. 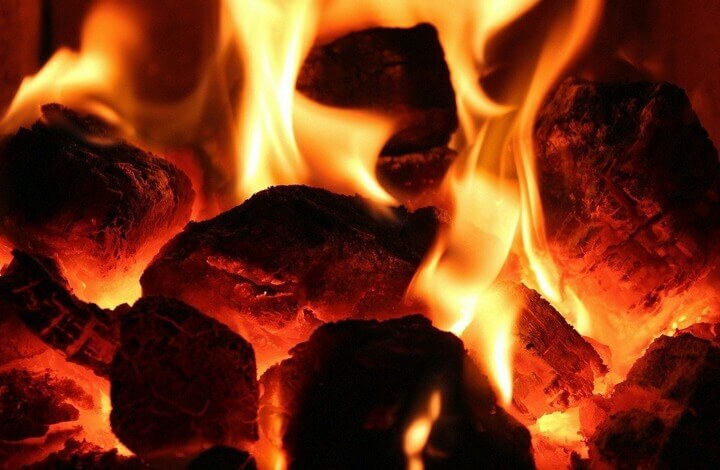 Science explains how to act on hot ash or embers. The University of London’s Psychological Research Council performed one of the earliest scientific studies on rituals on embers. They tried to understand and analyze the case of two people walking on embers to know what science phenomenon was behind that impressive performance. In 1935, an Indian scientist and two Britons tried walking on embers with a 3.6-meter-high fire pit. Two years later in 1937, an Indian man and a few other Britons also stepped on a surface covered with embers from wood. However, in all of these tests, none of the performers went on burned embers, although there were a few minor small bumps. After the process of analyzing and applying physical and biological knowledge, British scientists discovered that there is no religious faith or spiritual power that helps a person walk on embers. All thanks to the extremely low thermal conductivity of coal and short contact time between the feet and embers. To better understand this ritual from a scientific perspective, let’s take a closer look at the factors that help a person walk barefoot on embers without being burned. First, people will burn firewood to get embers first and make sure it still smokes but does not emit fire. Of course, they are going on embers rather than shooting. Secondly, most people often use hardwood and charcoal often in rituals on embers. Why is that? It turns out that wood is an excellent insulator even when they’re burning. Especially coal has four times better thermal insulation than hardwood. The third is the embers surface, which is covered with ash. If we look at it during the day, we can see these layers of ash, but most rituals on embers are held at night, so people rarely realize this. Like wood and coal, ash is also a poor heat conductor, so it helps slow down the transfer of heat from coal to human feet. But the most critical factor to consider is to help embers do not cause burns to a person, which is the contact time. However, this doesn’t mean you need to run to reduce the exposure time to the embers surface. Exactly, the running makes the legs easier to step on coal, leading to burns on the legs. The secret is to walk quickly and make sure that each step you take takes less than half a second. In the process of running on a road covered with embers with a length of 3 – 4.5 meters, the foot will only be allowed to contact embers for a few seconds. Of course, even if you know the secret to emitting embers, everything is still dangerous if you don’t follow the technique correctly. Sometimes hot embers may suddenly cling to your feet and cause severe burns. The most dangerous thing is stumbling over people into embers. It will cause extreme pain, even death if not promptly pulled the victim from embers.